All of the big businesses focus a lot of their advertising money into digital marketing. Whether it be through search ads, pre-roll, mid-roll, or post-roll video ads (like on YouTube or Facebook), live ads (like on Twitch), or podcasts, digital is the place to be. Unfortunately for small businesses, the cost to get into digital advertising and to see any success from it is so high they normally cannot participate. That is exactly the problem that Contento set out to solve. The team members had previously worked for standard ad agencies and had noticed that small businesses simply could not participate. They like to think of Contento as your "virtual, digital marketer." 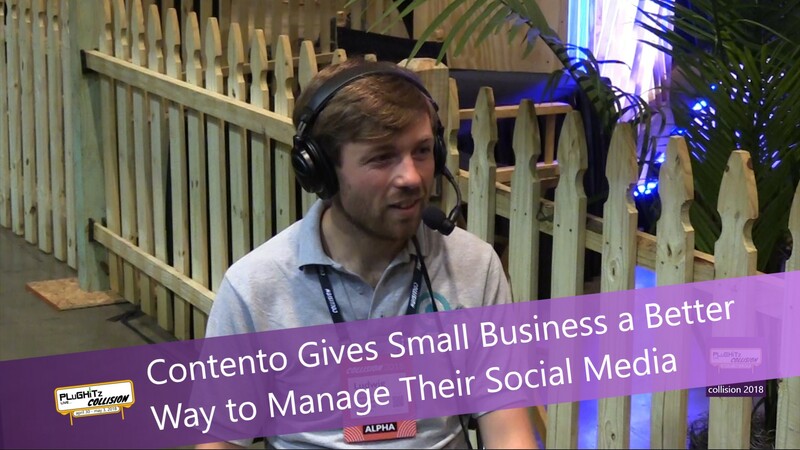 To create a lower cost solution, Contento looked for efficiencies provided by technology. As a client, you help them create a profile of your business, by browsing through related sites, by describing your business and your customer base, the algorithm is able to generate a model of the company. Once the model is created, the system will tell you which online channels will be a good fit for your business. For example, a media company would likely have success on YouTube and Facebook, but might not have any need for Google+ or Instagram. Contento will also help create content for those channels, especially targeted for each channel. For example, a square video is successful on Instagram, portrait-style video works best for IGTV, while traditional landscape video is more successful on YouTube. While there may be a lot of technology involved in the system, one of the things that Contento prides themselves in is the human factor. Currently, the company works directly with their clients to ensure that what is being produced is in line with the needs of small businesses. This is an important feature because many small businesses place a high value on knowing the people that they are dealing with, and knowing that there is a person there if they are in need. Contento is available now, starting at $75 per month for the automated service.